There was a big buzz on the Twitterverse about this yesterday as Pioneer revealed the details of their forthcoming RMX-1000 remix station. Taking a totally new direction to effectors and samplers, the RMX-1000 is a three-in-one system comprising editing software, innovative performance hardware and VST and AU plug-ins. The unit manipulates the input sound, lets DJs produce new beats and sounds and trigger personalised samples on the fly. And, thanks to the Quantize function, they'll always be in time with their sets. The RMX-1000 serves up all the possibilities of studio effects and beatboxes, with the added physicality of pro-DJ equipment. Intuitive performance interfaces from Pioneer’s flagship mixers and effectors – such as the DJM-2000’s Isolator FX, the DJM-900nexus’s X-Pad and the EFX-1000’s multiple FX chaining – have been evolved and brought together into one unit. The station uses intuitive DJ controls to manipulate several parameters in macro, each effect has been designed to work in a totally unique way with the interface, for results previously only possible with hours of studio automation or robot-like performance skills. While the unit is incredibly simple to operate, DJs can still create a totally unique sound with Pioneer’s remixbox™ editing software. remixbox™ allows DJs to completely customise the RMX-1000 hardware to their own performance style and load it up with their own banks of samples. And, by saving their settings to an SD card, DJs can effectively take their own personalised DJ rig with them wherever they perform. Plus, Pioneer plans to upload internationally renowned DJs’ settings and samples to its website so DJs can give themselves a head start. 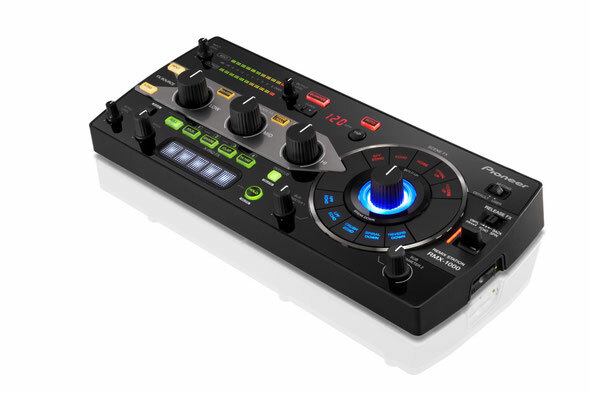 Using the RMX-1000 as a USB controller for the, included, RMX-1000 VST and AU plug-ins gives DJs the same hands-on feel they get with studio DJ mixes, saving them from hours of editing and breathing new life into studio productions. For full feature and specifications, click HERE. The RMX-1000 will be available from May 2012 at a SRP of 599 GBP/699 EUR, including VAT.